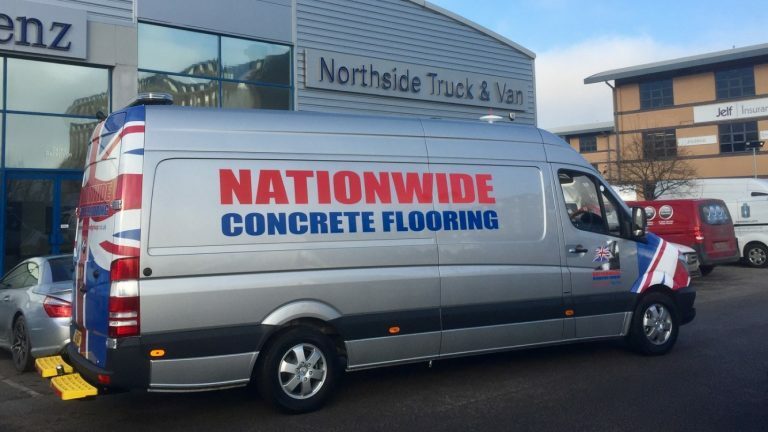 Nationwide Concrete Flooring part of the Nationwide Diamond Group are investing in better facilities for their site staff. A brand new Mercedes LWB welfare sprinter van. The laying and finishing of power floated concrete can go on for many hours especially in colder temperatures. Nationwide now provide their onsite team with their own site facilities, toilet and wash area along with hot blow heating, cooking all in one brand new mobile van. The rear has storage and racking to help move and store essential items thus making this sometimes difficult job a little easier, warmer and cleaner.